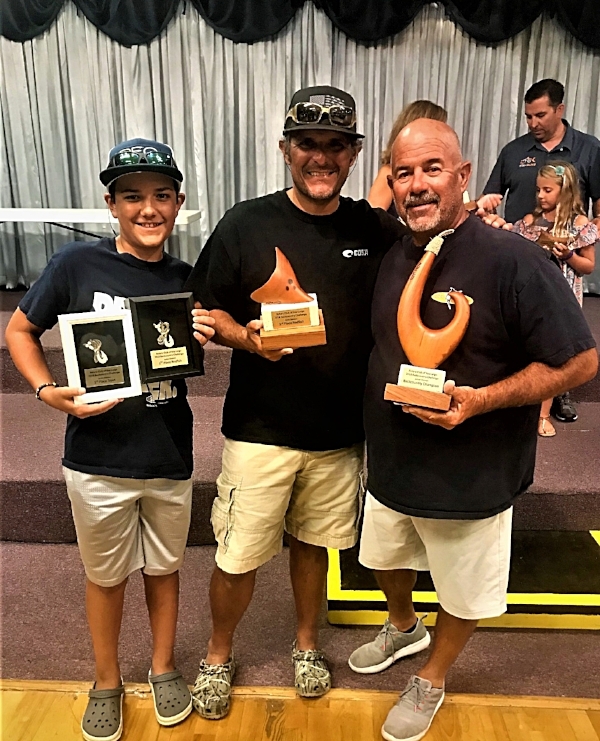 I fished the Take stock in Children tournament out of Key Largo this weekend with Paul Abolofia and his son PJ It was Grueling, we fished a 15 hour day on Saturday and it paid off . PJ had the hot hand catching more than 30 Snook and 20 Redfish on Saturday. They weren't all giants but big enough to score points. Paul gave up the front of the boat to PJ but also caught his share of an incredible bite. Take stock is always fun and I enjoy being there. PJ won top Jr. angler with 74 inches and missed overall champion by 1 1/2 inches. Paul won 3rd place Redfish. Great awards made by David Wirth. Congrats to all the winners! Mark with a nice Tarpon while pre fishing for this weeks tournament at Port of the Islands! The fishing is about to get great, the “mullet run” is a few days away. This is where all the mullet push down the coast by the millions and Tarpon, Snook, Sharks Jacks and plenty more follow them. It is an awesome show plus some real quality fishing. If interested give me a call I will keep my reports updated during this period, If interested give me a call at 305 333 8149. Newer PostFall is here, its nice out there! Older PostEnd of Summer Fun!